The ideal tool for breaking up stopages or retrieving lost objects in toilet bowls. No need to lift the bowl, works where plungers fail. 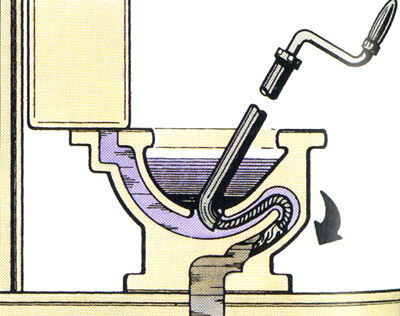 * Please call us for any questions on our auger toilet rentals in Portland OR, Gresham OR, Milwaukee OR, and surrounding metro area.